family relationships – Can You Relate? 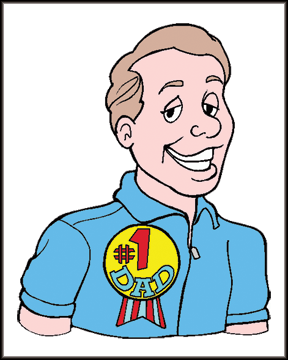 It’s ironic with Mother’s Day just around the corner, the topic of our blog for last week and this is dads. Our fathers were the subject of lunch conversation yesterday as three of us regaled one another with tales of our bad dads. To put it bluntly, they were all jerks. All three drug or alcohol addicts. All verbally or physically abusive to our mothers, and to us. Two of the three died young. Evidently stumbling through life inflicting and suffering pain is bad for your health. The three of us erupted in shrieks of laughter. That’s setting the bar a little on the low side wouldn’t you say? Still, as much as our dads were big jerks, they were also smart, funny, hard-working, resourceful. Each of our dads encouraged us, in ways no other man ever would, to try scary things and be successful. Yes, father/daughter land is a maze. Back at my desk I was left wondering, have we gone down the wrong road to end violence against women and children by thinking we could somehow shove out or wall off all the bad dads? The truth is, even after they die, they still exert an influence. How do we help one another sort this out?